Enjoy the top 1 famous quotes, sayings and quotations by Anthony De Mello S.J.. 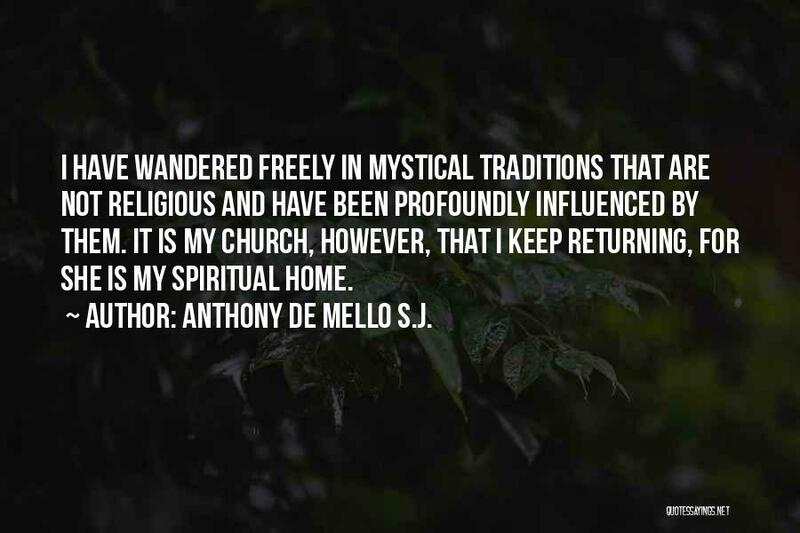 I have wandered freely in mystical traditions that are not religious and have been profoundly influenced by them. It is my church, however, that I keep returning, for she is my spiritual home. — Anthony De Mello S.J. It is an interesting and demonstrable fact, that all children are atheists and were religion not inculcated into their minds, they would remain so."